After the Great Destroyer was killed, word spread of suspicious Stone Summit activity near the Verdant Cascades. 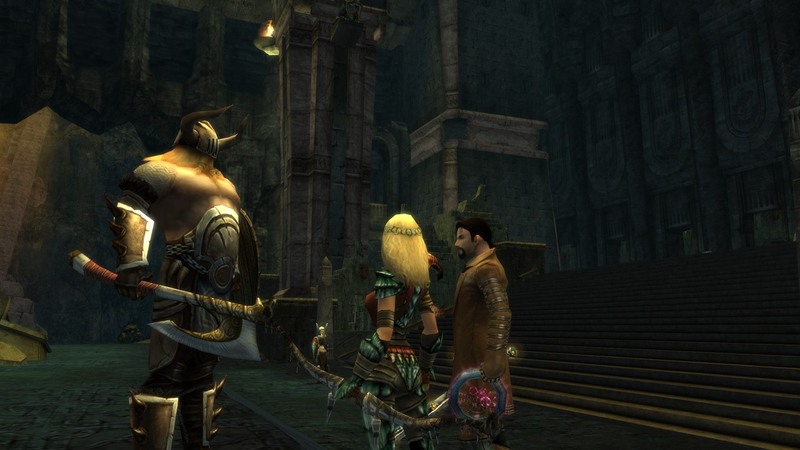 When Malory and I arrived to check it out, we found a room filled with norn waiting for a great challenge. Veth the Storyteller told us that the last Stone Summit hierophant, Duncan the Black was trying to harness the power of the Great Destroyer’s soul. He has rallied all available Stone Summit and amassed a huge army of slaves. Veth hinted that it would be wise of us to kill Duncan before he reclaims the Great Destroyer’s soul, even though his fellow norn relished the idea of fighting what Duncan would become. On my first trip to the Heart of the Shiverpeaks, I was tasked with recovering the Hammer of the Great Dwarf. That artifact was sealed away by the Blackpowder clan to prevent it falling into the wrong hands. In addition to the obstacles laid down by the clan, a huge seemingly invulnerable wurm named Cyndr the Mountain Heart guarded it. The powder kegs that our dwarven ally made were the key to the wurm’s demise. After placing three of them at the base of the wurm, it became defenseless and we could finally kill it. 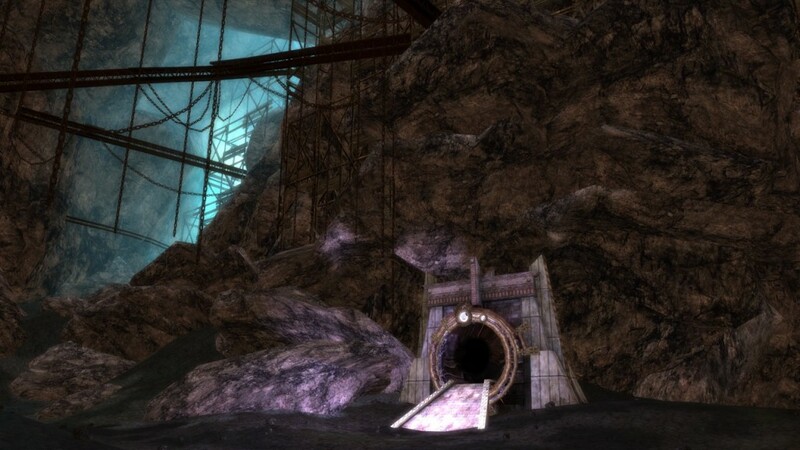 With Cyndr’s death and a lot more free time, I took the asura gate into the Heart of the Shiverpeaks with Malory to explore the depths. An old friend of mine, Killroy Stoneskin caught my attention in Gunnar’s Hold with an interesting request. Word had reached him that Fronis Irontone (the brother of a Stone Summit fiend he’d killed in Sorrow’s Furnace) was rallying a resistance in a nearby camp. In addition to the injustices the Stone Summit have committed to the Deldrimor Dwarves, Fronis also owes Killroy money. I very reluctantly offered to help out, especially when I heard that we’d be going in alone. But after Killroy said I was a no good fighter and a coward, I had to prove him wrong! When I explored the Far Shiverpeaks, every so often I’d find pieces of a treasure map. The norn I talked to mentioned that a dwarf by the name Koris Deeprunner was looking for the completed map. 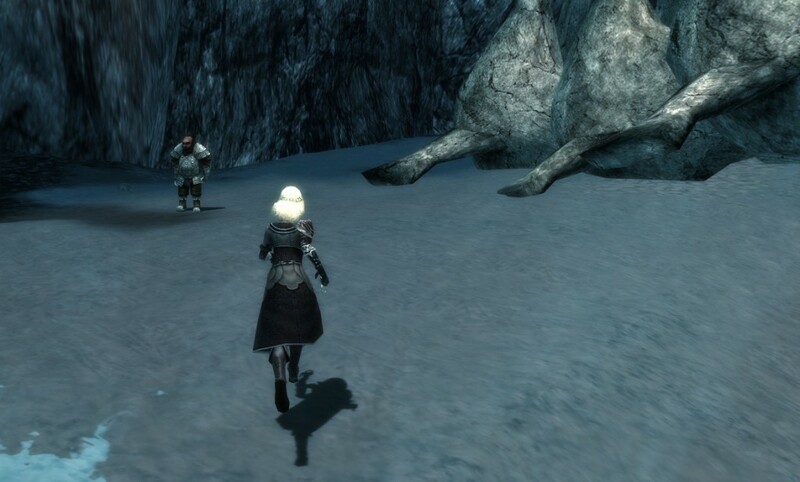 Malory was with me when I met Koris looking for the reward of completing his map. But instead of handing over a few gold he asked us to accompany him into the Depths of Tyria to reach the Lost Treasure of King Hundar!